Westmoreland handbells ringers share in a joyful, collaborative experience full of good fellowship and musical growth. Westmoreland Church is fortunate to have a beautiful 2-octave set of Malmark handbells. 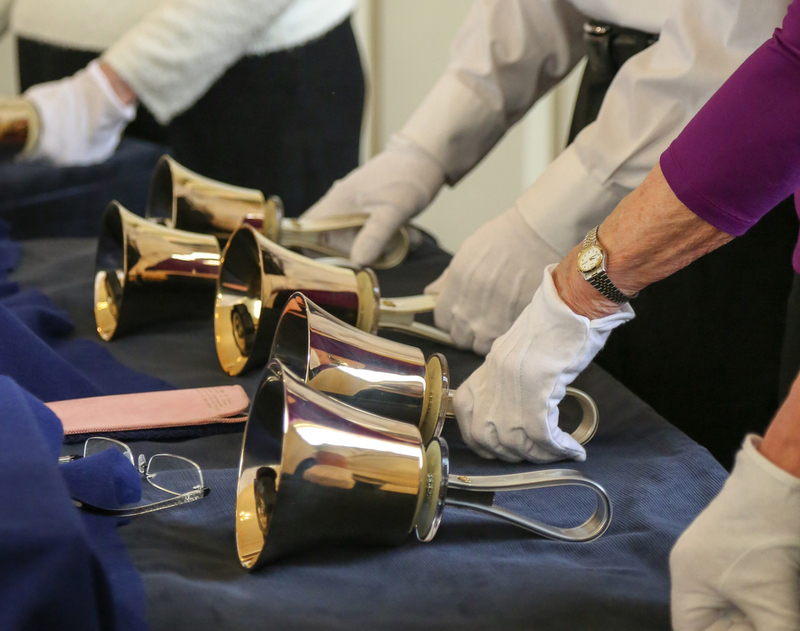 Two handbell choirs meet weekly to rehearse and learn music to perform occasionally during worship services. Fellowship of the Ringers is an inter-generational choir (children, youth, adults). Rehearsals, Sundays 11:30-12:15pm. Brian Frye, director. Both choirs combine welcome experienced musicians and novices. All are invited to take part.